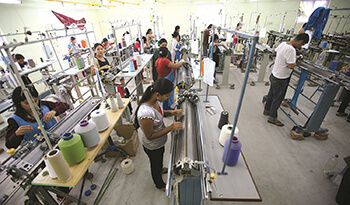 Responding to a slew of reports in the international media about insurance fraud in the trekking industry, the Nepal government says it is cracking down on perpetrators, while planning action against an insurance investigator said to be behind the sustained negative coverage. Reports this week in The New York Times and The Independent quote a letter written to Minister of Tourism Rabindra Adhikari by Jonathan Bancroft, Managing Director of Traveller Assist, in which he has threatened to get his clients to cut coverage if Nepal does not press charges against 17 trekking agencies, helicopter companies and hospitals it says are involved in claiming insurance for fake rescues. The government appears to be taking the damaging media coverage seriously, and called an emergency meeting in Singha Darbar on Tuesday with Tourism Minister Rabindra Adhikari, representatives of the Ministry of Finance, the Central Bureau of Investigation and others. In the letter to the minister, Bancroft says his company had issued the 15 February deadline since ‘not a single charge has been laid’ on the companies named in the ministry’s report, which it said were still in business. The incidence of fraudulent rescues claiming insurance has risen in the past four years, as reported by this newspaper and others. Some trekking companies, in collusion with helicopter charters and hospitals, entice trekkers to opt for medical evacuation at an inflated fee, and share the profits. There have even been rumours of guides deliberately spiking the food of trekkers so they fall sick. Stung by the flurry of reports, the Tourism Ministry set up an investigation committee which issued its report in August. 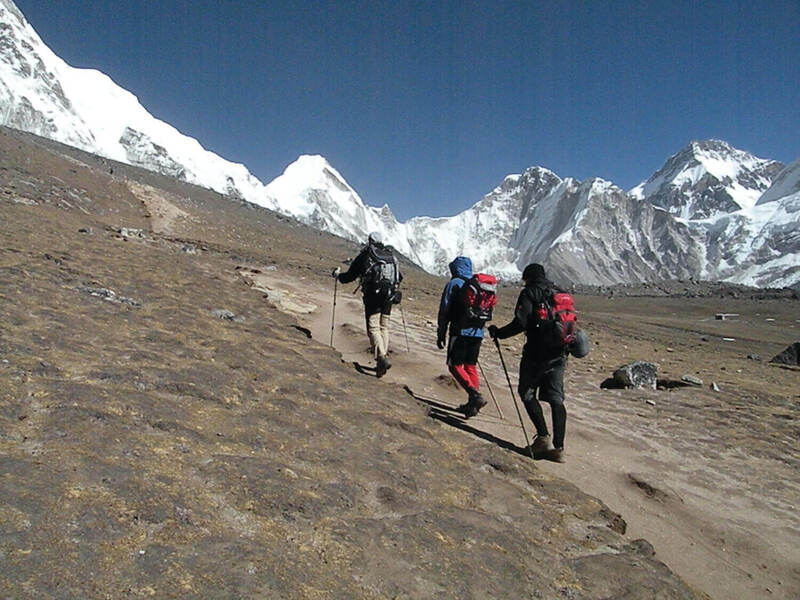 The Ministry then drafted new rules governing search, rescue, and treatment of trekkers to check fraud. 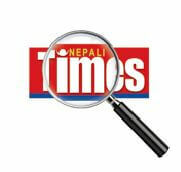 A source at the Tourism Ministry disclosed that last August, after the investigation committee presented its report, a delegation led by Nabaraj Dahal of Trekking Agents Association of Nepal met the co-Chair of the ruling NCP Pushpa Kamal Dahal who then put pressure on Minister Adhikari to let those named off the hook. Some of the unscrupulous companies involved in the scam enjoy high-level political protection because they are party donors, offer free helicopter rides during elections, or provide complimentary hospital treatment. Those involved in fake rescues play on the grey zone in which even physicians are not able to tell if a patient suffering from altitude sickness or severe diarrhoea needs immediate evacuation or will get better by simply descending and taking medicine. 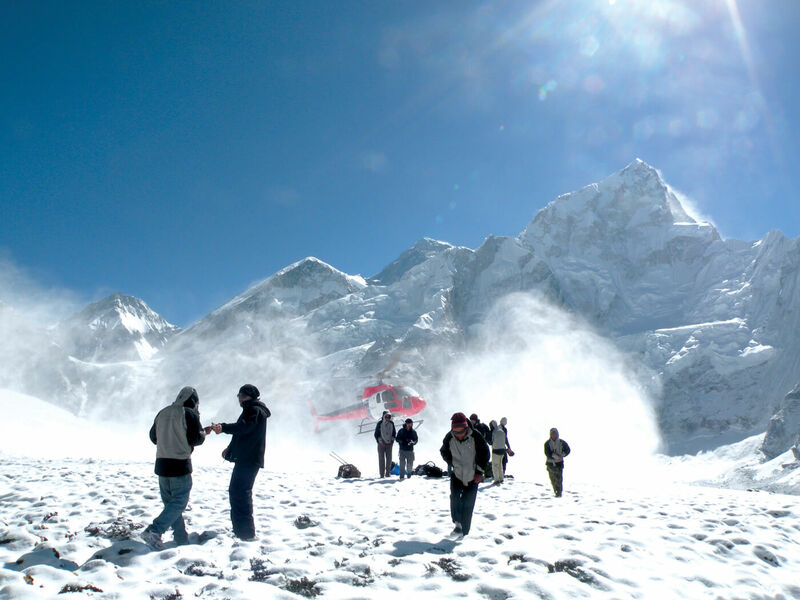 Many trekkers themselves agree to be evacuated at the slightest sign of trouble. Ram Sapkota of Himalayan Social Journeys says the real problem is unnecessary rescues rather than fake rescues. “Some trekkers get seriously sick, others pretend to be more ill than they are. Up in the mountains no one wants to take a risk,” he adds. After the investigation and new rules, the Tourism Ministry says the number of unnecessary rescues have gone down. Strict enforcement of the guidelines, setting an upper limit for helicopter rescues, a fixed price for hospital treatment, and monitoring compliance would prevent price gouging. 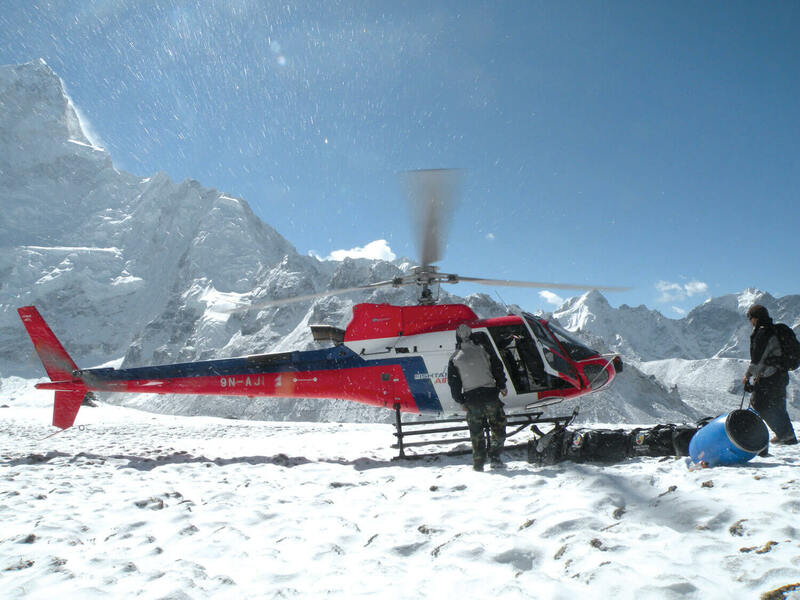 “All they have to do to control fraud rescues is to enforce existing rules,” says Rajendra Bahadur Singh of Mountain Helicopters, who knows of rescues in which charter companies evacuate more than one trekker, but bill them separately. There is also conflict of interest: some travel and trekking agencies represent insurance companies, and approve final compensation payments to themselves. This Ireland-based company works on behalf of international insurance underwriters in Nepal and other ‘difficult countries’ on medical assistance, insurance processing and ‘cost containment’ – a euphemism for investigating and reducing false claims. All stories in the international media in the past year exposing insurance fraud in Nepal’s trekking industry quote Traveller Assist’s Danny Kaine, an ex-soldier and a frequent Nepal visitor. This week, Kaine is said to have delivered a letter from Traveller Assist Managing Director Jonathan Bancroft addressed to the Minister of Tourism Rabindra Adhikari in which he has threatened to get his clients to stop issuing coverage for Nepal after 15 February unless those guilty of fraudulent rescues are charged. The letter was leaked to international media and got wide coverage. Indeed, reputable agencies and hospitals in Nepal, while admitting there are dodgy companies involved in insurance scams, accuse Kaine of writing them emails soliciting all insurance business for himself. Ministry officials also refuted Kaine’s claim that he has an agreement with the government to uncover rescue fraud. The Police Central Investigation Bureau is reportedly probing Kaine’s activities in Nepal, and confirmed that he flew out this week. Many media reports quote Traveller Assist’s statistics on the fraudulent rate for the 3,200 helicopter rescues in 2018. Doctors specialising in high altitude medicine interviewed by Nepali Times say that even if a company had access to so many medical records of rescues, it would still be difficult to determine the exact condition of the patient, and whether a rescue was necessary or not in cases of Acute Mountain Sickness. In a separate note to Nepali Times on 29 January, Kaine said the emails about him were ‘fabricated … by one of the companies named in the fraudulent investigation’. He went on to accuse this paper of ‘acting on behalf of the companies accused of fraud … a very dangerous precedent to set for a journalist from a respected news agency in Nepal’. Earlier, in answer to a simple email query about whether Kaine really worked for Traveller Assist, Jonathan Bancroft was needlessly abrasive, and accused this reporter of trying to play him off against Kaine. Bancroft went on to add: ‘Mr Sharad, after asking some questions in the industry in Nepal about you … (it) _gives me the inclination to no longer communicate with you or your organization…’.